Even the best cameras in the world need batteries, same as your laptop, smartphone, tablet, monitor, and, I’m assuming, a ton of your photo accessories. When you are at home or in the studio, it isn’t much of an issue. You just plug everything into the wall outlet to charge or stay powered up. When you travel out on location, those outlets can’t exactly travel with you. 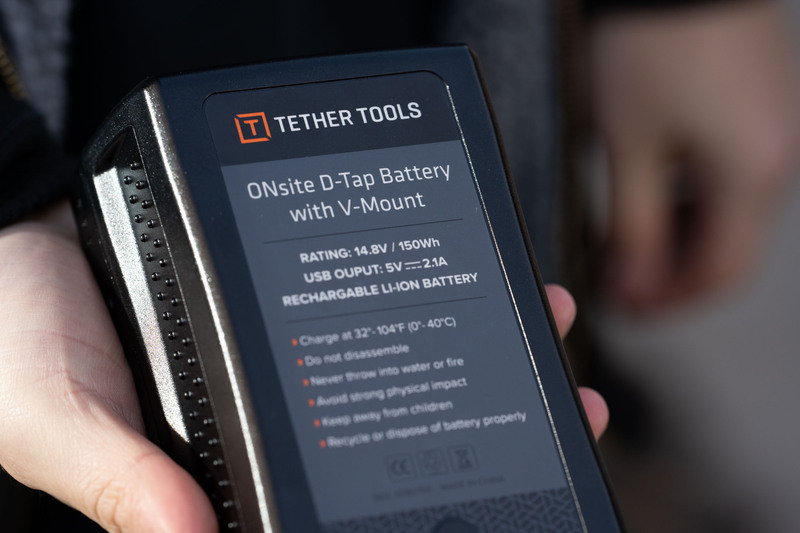 That is what makes the Tether Tools ONsite Power Management System so useful—especially if you are a photographer who would benefit greatly from taking your tethering setup on the road. 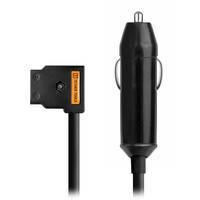 Core to the system, and the component that makes the ONsite work, is the D-Tap to AC Power Supply. You can pick it up in 110V or 220V variants and it will convert your D-Tap battery into an AC source with two standard outlets. There is even a set of four 2.1A 5V USB ports on the side. 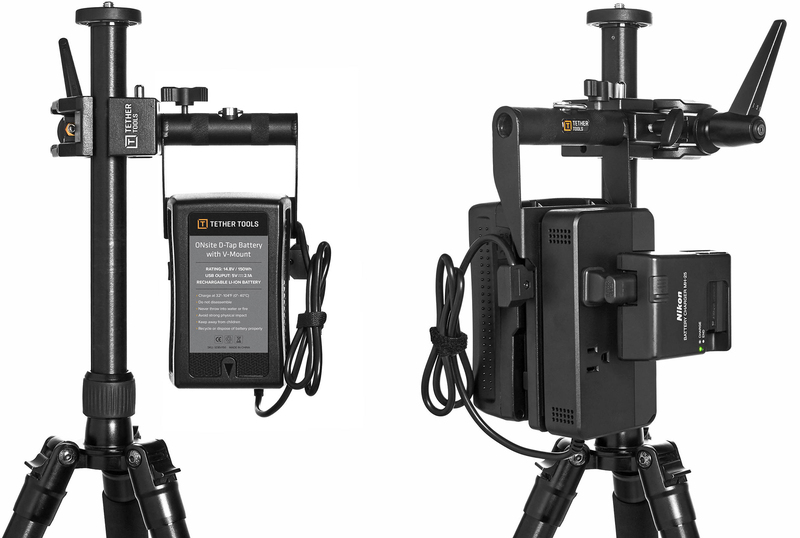 This means you can charge all of your devices from a portable battery pack, such as the ONsite D-Tap Battery with V-Mount. 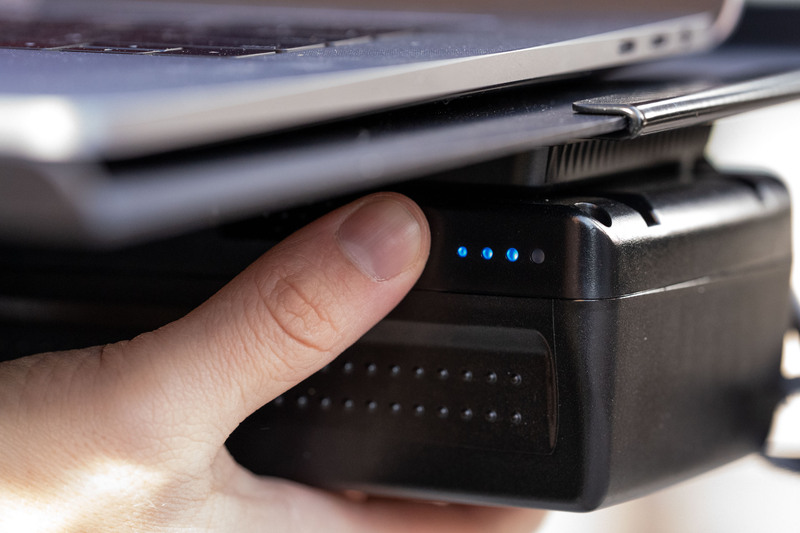 This battery is very much a standard V-mount battery pack, though it has a 5VDC 2.1A USB output and will consistently output 10A from the D-Tap and V-mount connections. It’s also small enough to make it through current TSA requirements for carry-on battery packs and is much bigger than the USB battery packs with which I’m sure most of you are already familiar. My first test with power devices is to plug in my everyday tools, namely a camera and my laptop. Unfortunately, this is where I immediately located the ONsite system’s sole shortcoming. It won’t provide constant charging to my 15.6" MacBook Pro’s 87W charger because it maxes out at 85W. It does do trickle charging; however, I happened to be testing this with a completely dead laptop and it couldn’t get it to an operational charge, meaning, don’t bring a dead laptop and expect a miracle power system that will get you juiced up as you work. 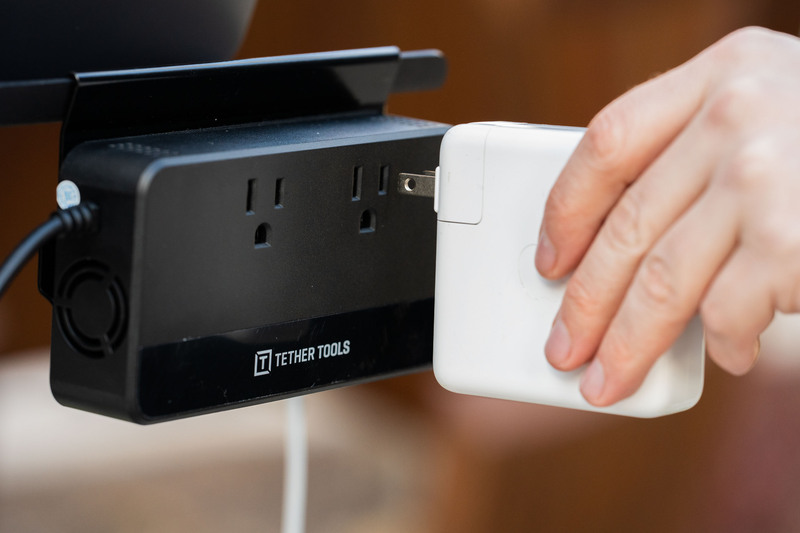 However, after discussing this issue with Tether Tools, I was informed that this is not a problem when using the ONsite Aero V-Mount or ONsite Versa V-Mount accessory as connecting to the D-Tap output on the the V-Mount is not as limited and should have no problem charging up a modern MacBook Pro, so just be aware if you are looking to pick this system up. Charging everything else was perfect, including an Atomos recorder, my Sony a7R III, and a Nintendo Switch. To be fair, the battery isn’t the selling point of the system, it is Tether Tools ecosystem that makes it a viable solution. The Aero Table can accept the ONsite system to create a portable workstation with an outstanding mobile power setup. 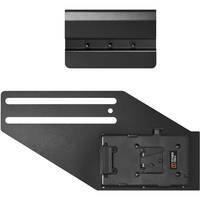 The ONsite Aero V-Mount accessory comprises two parts: a V-mount battery plate with D-Tap output that attaches to the bottom of the table and a mount for the AC Power Supply that hooks onto the lip on the side of the table. 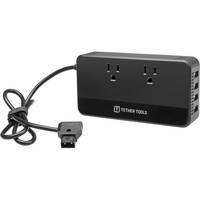 This keeps the battery out of the way and makes the AC outlets and USB ports readily accessible. The AC Power Supply can easily be moved, as well, so you can reposition it based on the needs of the day. 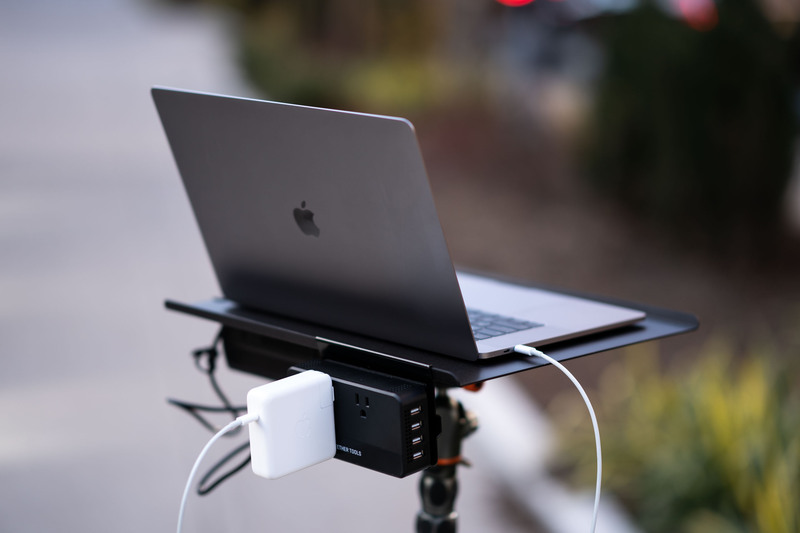 If you already love the Aero Table for on-the-go tethered shooting or a mobile workstation on set, adding the ONsite system makes perfect sense. The table already holds a laptop and other accessories with ease and can be mounted on a light stand, tripod, or C stand for flexible use. Now you can keep everything powered up! 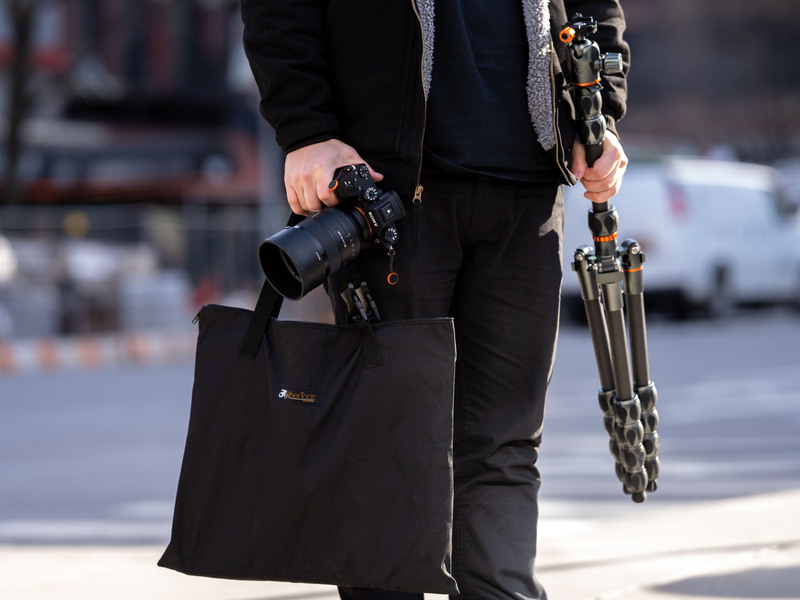 We took it out, down the street from the B&H SuperStore to snap some portraits, and I could run a laptop, tether my camera, and have someone instantly reviewing the images while also charging my phone and a spare camera battery. It’s been cold lately, and making sure all my devices stay charged up throughout the day can be a struggle. Mobile tethering has been given a serious boost. 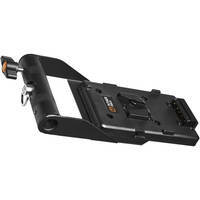 Another advantage of this configuration is the V-mount battery plate on the base. 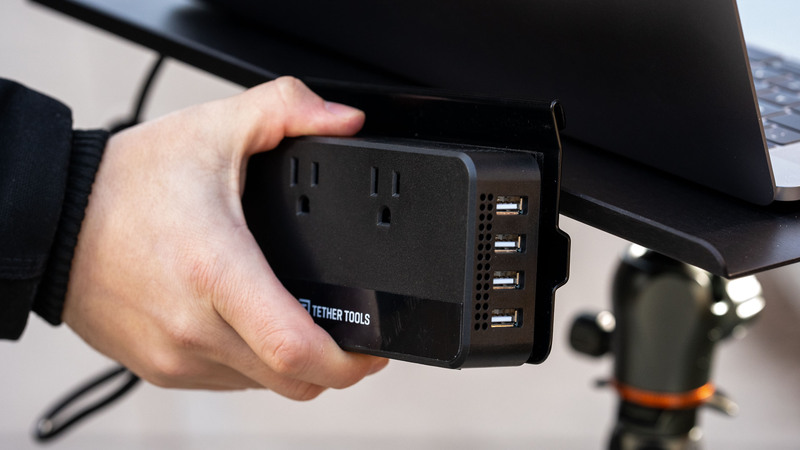 Since this features its own D-Tap port for attaching the AC Power Supply, you can quickly swap out the battery without dealing with various cables, so, on extra-long shoots you can stay charged up the entire time. If you don’t want the table, say, if you are a videographer just looking for extra power or a photographer not in need of a laptop setup, the ONsite system does have other options. 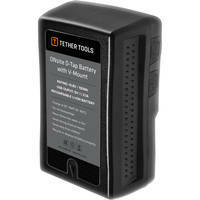 You could easily just have the battery and power supply and use it as a charging station wherever you go. Think about tossing it in the car to charge between locations—there’s also a Car Adapter to charge the battery up—or to have it in your bag as you navigate the city to get to your next job. Or, you can opt for the recommended ONsite Versa V-Mount. This device was named, I’m guessing, for its versatility and it lives up to it. A simple item at first glance, this would be my choice for a personal ONsite setup. 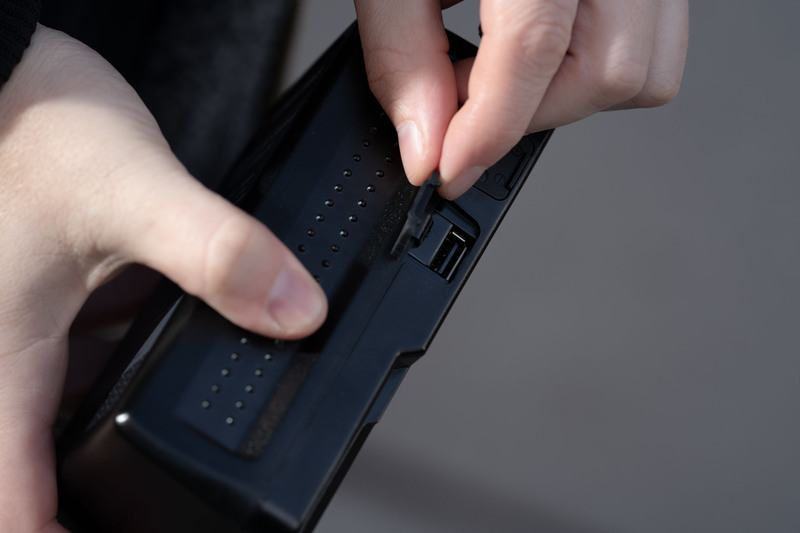 It has a V-mount for the battery pack, a place to connect the AC Power Supply unit, and a handle with a few mounting options. You can easily hang this on common grip gear, a light stand, tripod hook, cart, or even a strap via the Hitch D-Ring. It’ll travel better than the table and is a better fit if you aren’t dragging along your computer. Overall, I was impressed with how well thought out the ONsite system appeared to be. Besides a gripe with it just barely not supporting the 87W charger that came standard with my MacBook, it works for just about everything I own related to photography and video. 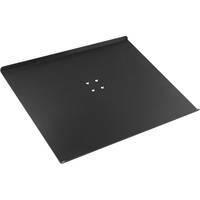 It is an easy recommendation for users looking for a reliable battery-powered AC-capable system, especially if you already use the Aero Table. What do you do to stay powered up on the go? Does the ONsite look like a solid choice to you? Be sure to let us know what you think in the Comments section, below!